With Easter fast approaching, I have decided to make new buttons. They are available in both 38mm and 57mm. Can also be purchased as magnets . 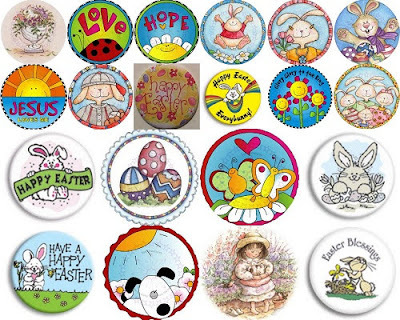 Here are my new Easter buttons in 38mm sizes - Click on the image below to check them out. The following Easter buttons are available only in 57mm but can be ordered as regular buttons, magnets and/or keychains. Click on the image below to check them out.